Christina Kaba, manager at Abalimi Farming in South Africa, talks with great passion about the immediate good that comes from farming. 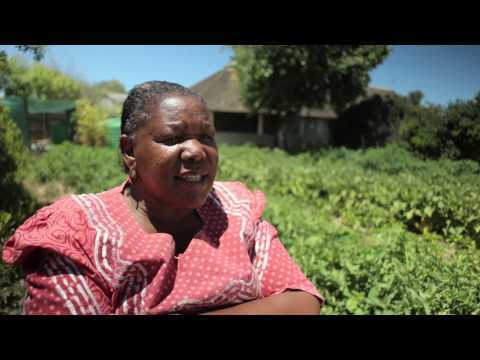 Tags: #Open Minds video, #Video, #Organic, #Abalimi Farming. Gavin Montgomery - 26 Apr 2013, 3:49 p.m. Traditional, small scale farms, even (or especially) if managed organically, are inevitably going to be less efficient than large scale commercial farms. The economies of scale are simply enormous. Bigger commercial farms are increasingly mechanized, requiring fewer workers, but are obviously far more efficient in terms of energy use, deliver higher yields (so, ironically, require less land area for production), and are far more capable of investing in environmental technologies. Sponsorship and support for smaller farms and traditional land holding would, therefore, seem to be massively irresponsible. The long-term economic outlook for smaller farms is poor and the investment would surely bind more people to the land than it can reasonably employ. Southern Africa is currently going through a period of rapid urbanization, so diverting resources to support an economically unsound traditional form of food production when there is a crying need for investment in urban job creation and entrepreneurship seems irresponsible and short sighted.